Description: This second style (brass guard) 1880 knife remains in excellent condition with light stains on the period sharpened blade. 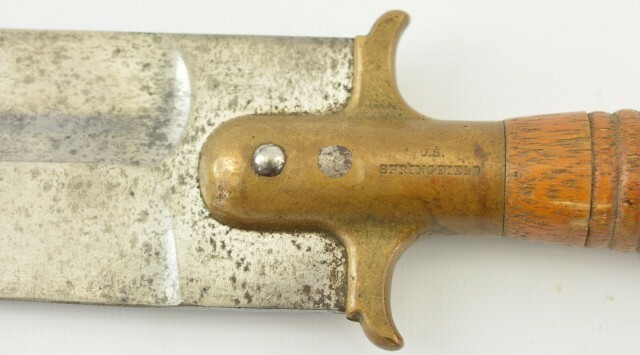 Brass guard is stamped "U.S./Springfield" on throat with "3454" on opposite side. The maple handle has two chips at pommel with impact marks obscuring inspectors marks. The entire piece has a great old patina. Unfortunately no scabbard is present.